I trust you're not completely fed up with these diverse examples from the old file. I'll persist with the pot-pourri unless I hear 'no mas' from your end. First, I found one more Time cover, a bit earlier in years, but at least a strong painterly quality. 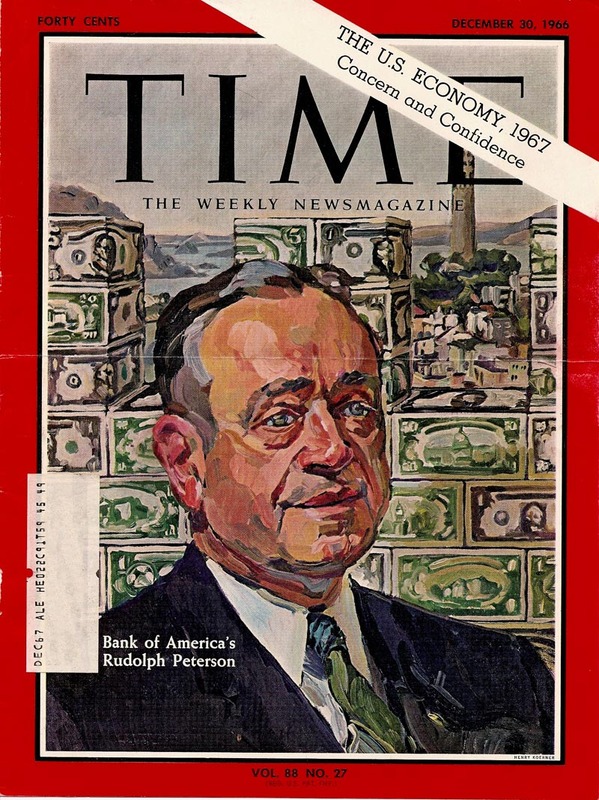 In fact, looks like they gave printed credit to a 'fine artist', Henry Koerner, on the cover. Gross discrimination....credits were never offered for the far better artists I've already posted to you. Second, will send along a strange Barron Storey, clipped from 'Flying' magazine. It's very inventive....the direction he and other late stars were going when the whole thing collapsed. Then followed by a vast wasteland of TV and digital screens! We live in strange times. The past, my era of illustration, and that of the east, is gone, ignored, almost shunned, by today's digital youngsters. What a shame...and how shallow can a culture be! Forwarding three more oddities from the old file. The two Pendleton ads I liked....and was told by someone later on they were done by an S.F. illustrator. Late 70's I believe. The Cousteau Arco ad I also liked. Very strong....can't read the signature, but nicely done. That's about it for today. Thank you so much for these posts Mr.Allen!! Keep them coming! p.s. I believe from the looks of the signature that the last AD ( The ARCO AD) was done by Mark English. I've never seen this before so it is an awesome find ! That Cousteau piece looks like Mark English signature. I recognized this instantly as a Mark English illustration. I was a huge fan of his when I was at Art Center College of Design in the late 70s. It's even signed with the classic Mark English signature. A nice variety of clips. I subscribed to Flying & Cycle magazines when Barron Storey was doing art for them just for his art. I too thought it was by Mark English. I have admired his work since I figured out what illustration was in the early 80's. Even got to have breakfast with him at ICON 3 in Philadelphia. Thanks for sharing! Didn't Henry Koerner also do work for Fortune Magazine? 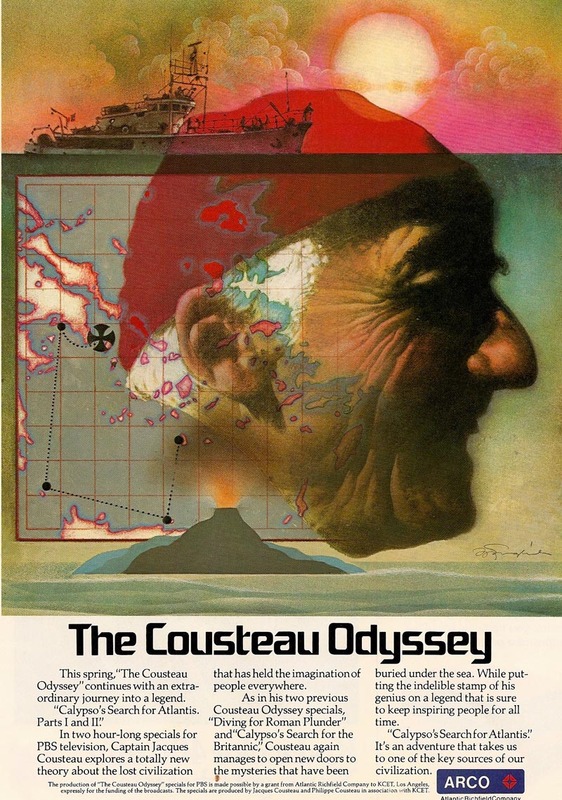 I dig the Cousteau piece. Thank for sharing it. Charlie, the Cousteau illo is definitely Mark English. I also clipped it, and then lost it while moving.. good to see it once again, it's one of his finer illos. 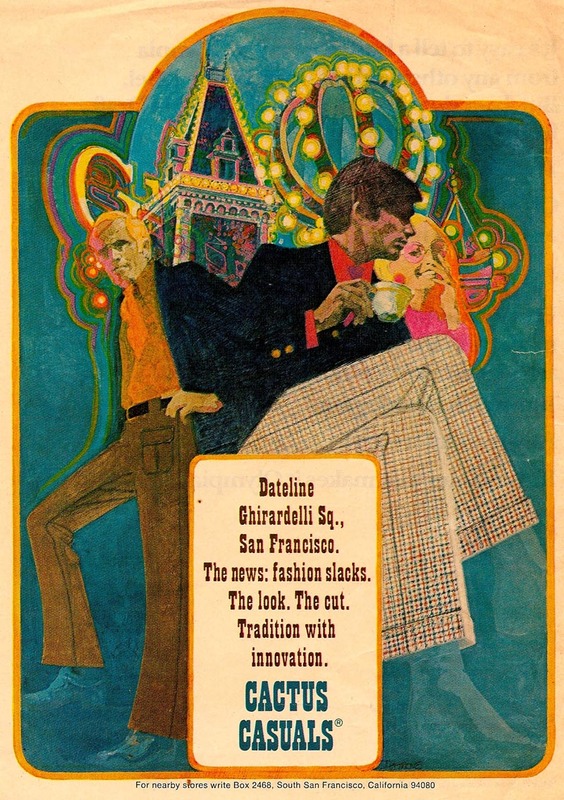 The Pendleton ads are by David Grove, a S.F. illustrator, who was hot in the 1970s' and 80s'. 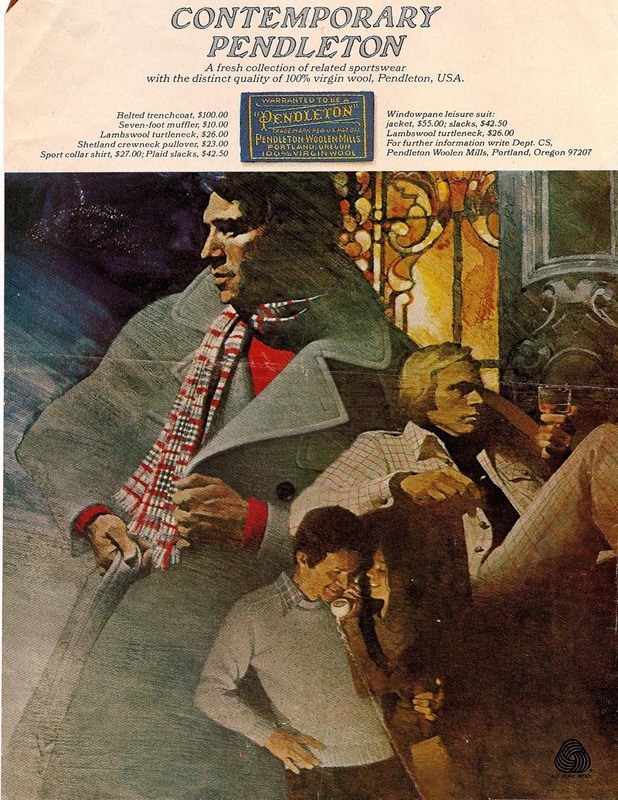 He did a whole series of Pendleton ads, and they were outstanding.. strong dramatic light and shadow effects on most. Maybe, one of the last big fashion illustration campaigns for magazines. It seems that even fashion illustration has virtually disappeared from advertising. No wonder the fine art market in recent years, is bulging with talent. OK....Mark English. My eyes and recognition values are not too sharp these days. M. English can almost do no wrong. He was just amazing, and it's too bad he didn't arrive on the scene a bit earlier. Tom, thanks for the ID on the Pendleton ads. Oddly, I have never heard of David Grove....and it's astounding, considering his abilities, that he didn't do more work in this area and even in the east. Again, thanks to all for the education. those are great! I love english and storey! It's cool to see any of Storey's early illustration work. English gave a pretty amazing life drawing/illustration demo at my school Academy Art SF. I'm more familiar with the David grove stuff that uses the lift off technique similar to Fuchs. I remember some instructor mentioning some controversy about who developed or popularized that technique. So happy to see this Mark English again. Delicious piece. I've had it in my files since art school and he's one of my favorites for the subtlety of his tone and the strong graphic elements he used. David Grove also was a favorite. Saw one of his originals in the offices at Disney once. Maybe Bernie Fuchs started the lift off technique and Grove took it to a different place. The second Pendleton ad is definitely by David Grove, whose CAPTAIN BLOOD and OUTSIDERS stuff puts him in rarefied territory. However, I believe the first Pendleton piece is by HOWARD ROGERS, who did terrific work on the SIGNET editions of the CHARLIE CHAN novels. "It's very inventive....the direction he and other late stars were going when the whole thing collapsed. Then followed by a vast wasteland of TV and digital screens! We live in strange times. The past, my era of illustration, and that of the east, is gone, ignored, almost shunned, by today's digital youngsters..."
don't despair Charlie. Baron Storey's influence is very strong today and far from over. 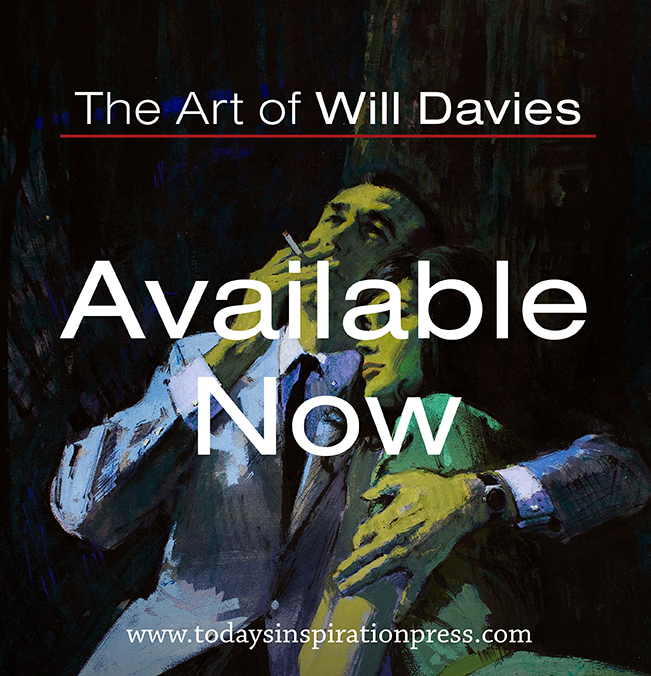 in the 80s and 90s he was a huge influence on comic artists such as Bill Sienkiewicz, Dave McKean and Kent Williams. you can see his ideas still reflected in the work of a younger generation of illustrators such as Andrea Wicklund and Sterling Hundley. 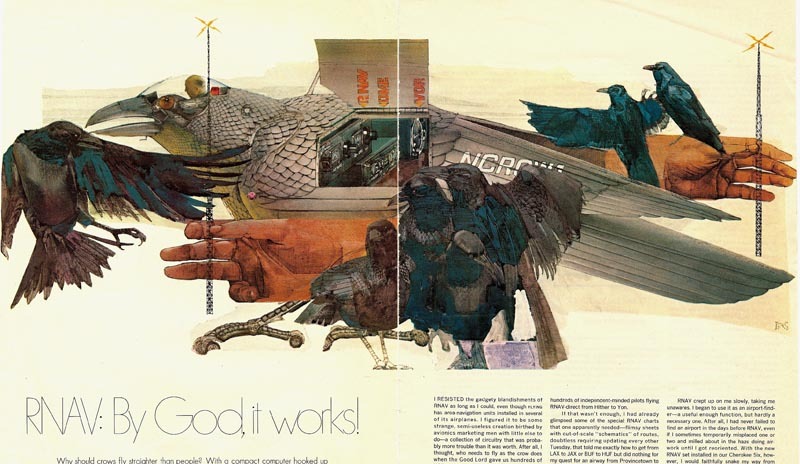 The two ads referred to as SF illustrator are by the legendary and sadly late David Grove. The top one is of an early period of his carrier where the lift of technique typical of his work is not yet introduced.